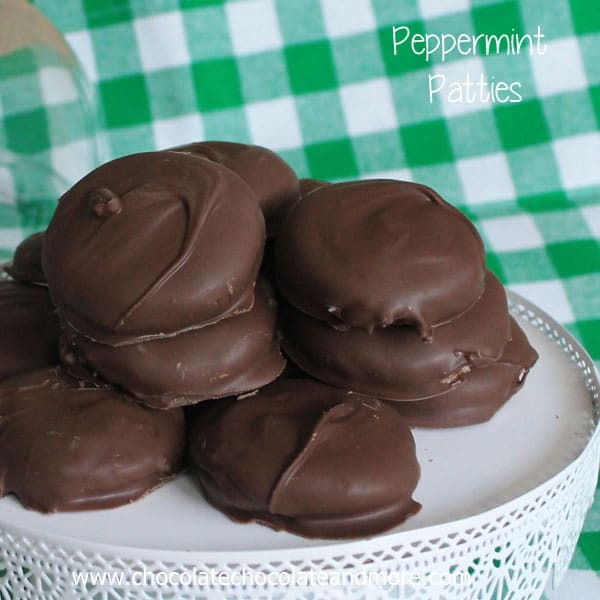 Homemade Peppermint Patties - Chocolate Chocolate and More! 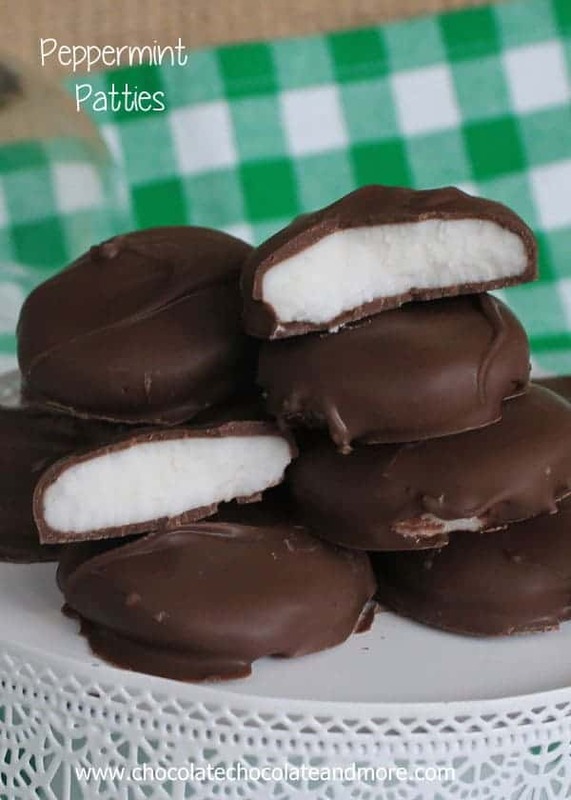 Homemade Peppermint Patties are better than anything you can buy in the stores and easy to make! I love making homemade candy. I always make candy to give during the holidays. I’ve never met anyone that doesn’t love receiving a tin filled with bite sized chocolate covered deliciousness. The look of awe, that I would go to the trouble to make them homemade candy, I get all warm and fuzzy inside. 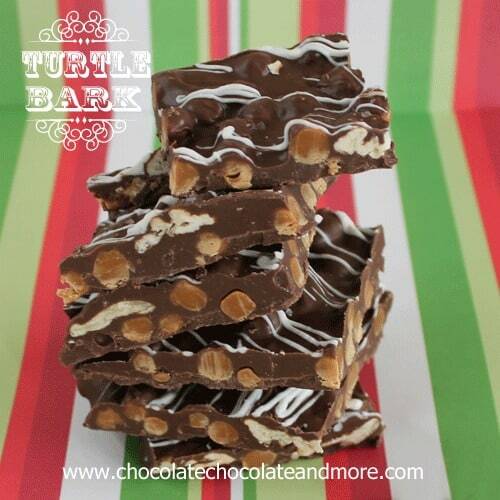 Candy making isn’t just for the holidays. Especially when it gets too hot to turn on the oven in the summer, making candy can be a fast easy way to still serve up something that will impress everyone. There are lots of stove top recipes out there for candies. Ever make homemade caramels? To die for! And Gumdrops, easy and the flavor possibilities are endless. What if you don’t even want to use the stove? 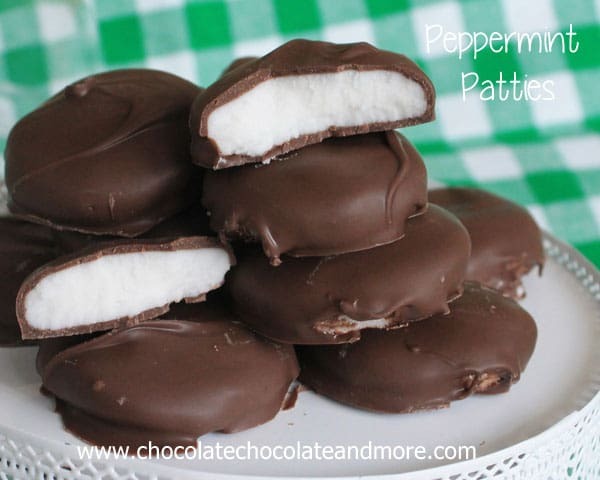 Then these Homemade Peppermint Patties are for you. Made with your mixer, no heat required. I use a mini crockpot to melt my chocolate. 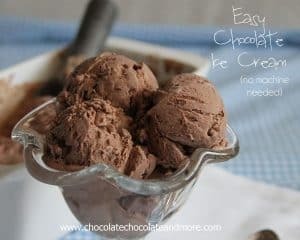 (if you want to see how I do it, you can click this post) Or you can use the microwave or a double boiler to melt your chocolate, but that’s it for heat. These peppermint Patties will melt in your mouth, hold up well and don’t require any refrigeration (unless your house is 90 degrees inside.) If you can keep everyone away from them, they’ll last for up to 2 weeks. Divide dough into 1 inch balls (or 1/2 inch balls for small mints) using your hands, pat dough into 1/4 to 1/2 inch thick discs. place on a wax paper lined tray and place in freezer for 4 hours. When ready to coat in chocolate, follow package directions for melting chocolate, I use a mini crock pot. Line a second tray with wax paper. Remove mint discs from freezer. Dip bottom side on disc in melted chocolate then place on a fork and using a spoon, pour chocolate over top of mint to cover. Tap off excess chocolate then place on new wax paper covered tray for chocolate to set. Repeat with remaining mint discs. You will need to keep your chocolate warm while dipping or it will cool off fast from dipping the frozen mint discs. I saw your post at cook it craft it share it. I pinned it, they look so yummy and simple! 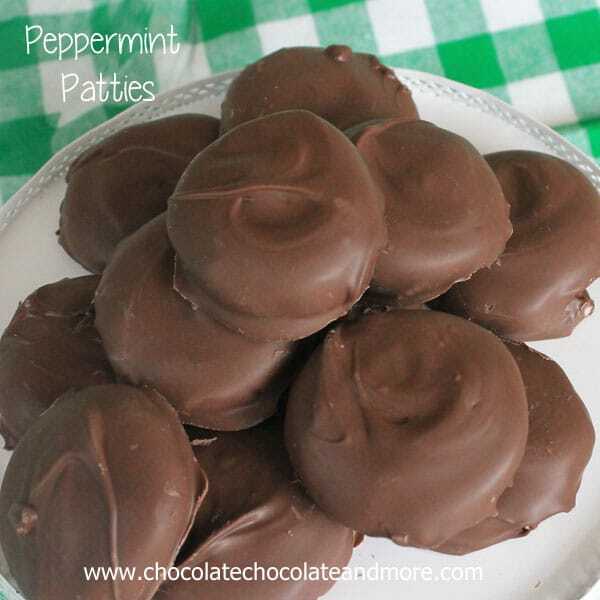 I love homemade peppermint patties!!! 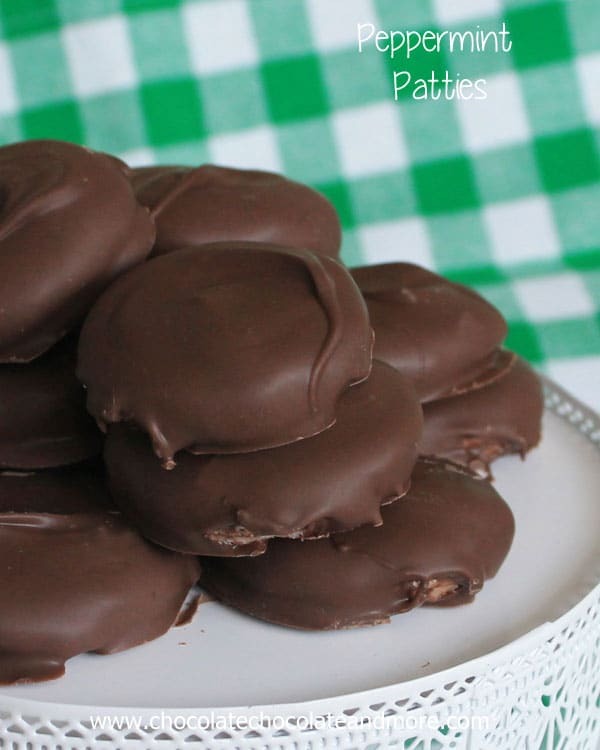 Homemade peppermint patties are one of my favorite treats! Yours look just perfect! Hello! It has never occurred to me that I could make homemade peppermint patties. Never! I’m regretting the subpar dessert I just had in favor of these. 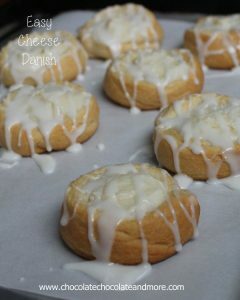 These with a cup of Peppermint coffee……ahemmmmmmm. Yum! I’m thinking these would be perfect just out of the freezer on hot summer night! Pinning to try soon! You make this look so easy. I do agree with the other Julie above that these would be fun to freeze since now it’s summer. Yum! 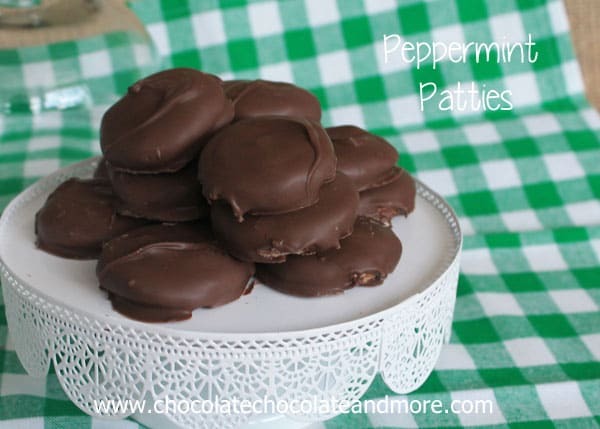 I love peppermint patties and I can’t wait to try out this recipe! Thanks for sharing on the Monday Funday Party! Wow! They look good. Thanks for sharing. I made these and they were a big hit. Easy to make and yummy to eat. I store them in the freezer. I will make these again. Thanks for the recipe. Congrats! You’ve been featured as a fan favorite at Cook it! Craft it! Share it! for this fab recipe! I am just about to make these for the second time, I am IN LOVE and obsessed with them! I’m going to go deliver them to a couple friends because they are too good not to share, but I will probably make a double batch so that I have plenty for myself! Thank you so much for sharing this recipe! And thank you for the tips on using a crock pot for melting chocolate! My mini crockpot has sat unused for 5 years now but it will be used all the time now to melt chocolate, I am always burning my chocolate in the microwave but not anymore! I love my mini crock pots, enjoy! I love peppermint patties! This looks great btw. Just curious if you’ve tried cane syrup or agave instead of corn syrup? I haven’t but since the corn syrup is really just the binder, you should be able to substitute. I’m assuming you mean icing sugar when you say powdered sugar? These sound wonderful and I’m definitely going to try them. Yes, powdered sugar, icing sugar and confectioner’s sugar are all the same. Hope you enjoy these as much as we do! Do you think melting chocolate chips would work? If they are for candy making, like candy melts are then yes. I can’t wait to try these ! But what I was wondering if you can substitute the peppermint extract with another flavor , like a cherry ? I just thought different flavors would be good. Sure, you can use any flavor you’d like. I love using lemon at easter time. i just finished making these, and they are amazing! I used peppermint oil instead of the flavoring, and Mercken’s dark chocolate melting chips without adding the shortening. I made them small, and got about 50. They will be perfect for Holiday gifts, and I just might have to make more! These will start to dry out after about a week. I was wondering how long they last in the freezer. I have so much baking to do that I like to get as much done as I can before christmas so I can sit an relax on Christmas Eve, since I usually have 20 people over Christmas day and cook all day. If I leave off the chocolate would that help? Thank you so much! Soooooooooo….everyone loves these! I never knew candy could be so easy, and my three year old begs for “chocolates”! Love this recipe so very much. Thank you! I just tried making these, and the chocolate (I used chocolate chips in a double boiler) completely melted the centers when I tried to coat them and shake the excess off. Any suggestions? I also tried raspberry extract (and a little food coloring) in half of them – although they are a melted mess, they are delicious! 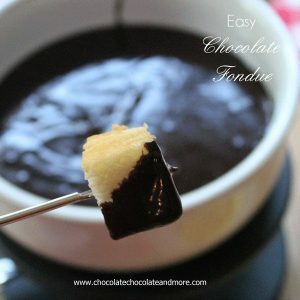 It sounds like you need to let your chocolate cool off a bit before dipping. I love the idea of a raspberry flavored candy! Going to make these for my husband for a V-Day/B-Day surprise this weekend. My question, though, is can I substitute vegetable oil for the shortening? I don’t cook with shortening & don’t want to buy something I prob won’t use except in this recipe (monthly, I’m sure, lol). No, you can’t substitute the shortening for oil but you can use butter. You need a solid to make the patties firm. And I’ve tried this recipe but it was too sweet for me. 🙁 I wonder if there can be alternatives or additions instead of using sugar + syrup. How about cream? Err but I guess it won’t hold to the melted chocolate. Thanks for the recipe though, I glad I’ve tried.